To get results from your hashtags, you’ve to look for the right one. How? Read the blog to know. Why Instagram Hashtags are Important? Precisely said, Instagram hashtags work like keywords your audience will use to reach content they’re genuinely interested. The hashtags not only bring the relevant content to them but also allows following it. Even if they’re not following it, they can make it appear in their feeds. Right hashtags give you the chance to take your content in front of your targeted audience. Keep an eye on your customers’ behaviors. Accordingly, use your industry-related hashtags to attract them. As for instance, you can use #CottonShrugs (if you sell that) in your post to help your prospective audience find your offerings with ease. Create strategy to use the hashtags to boost your brand awareness too. Sharing and creating user-generated content will also become easy breeze with proper use of hashtags. All these will tell your people more about you. So, how can you frame a robust Instagram Hashtag Strategy? How to Develop Instagram Hashtags Strategy? 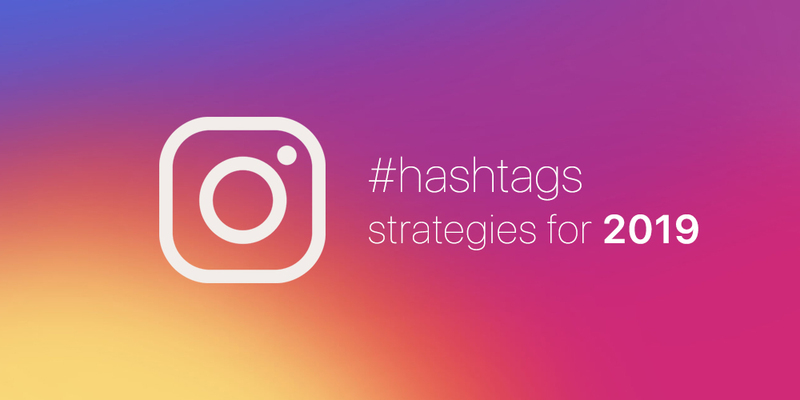 Build an effective Instagram Hashtag strategy with these 4 simple steps. Step1 – Set Specific Goals: Have specific goals in your mind to drive maximum benefit out of your strategy. Generally, people use hashtags to promote their brand, event awareness, boost engagement, strengthen client relationships, and conveying brand message. However, there’s no thumb rule that you’ve to pick your goals from the above-cited lists. But, make sure that each of your hashtag has a unique goal. Step2 – Find Your Hashtags: Find out what hashtags your competitors are using and how they’re using it. Are they using niche hashtags? Or, is it just for general appeal? Note them down to swipe them to use later. Begin with researching for general hashtags. Use tools to brainstorm new hashtags and to find the impact of each of them. List them down. Now, create some categories such as ‘niche interest’, ‘location hashtags’ and others. Afterwards, combine them to use in your content and drive results. Step3 – Create Brand-Related Hashtag: Brand hashtags promote brand. At the same time, it encourages sharing and curating of user-generated content. If you want, include your brand’s or products’ name in the hashtags. Also, check whether your chosen Instagram hashtags have double meaning. Your profile’s bio is the best place to put it. Use the actual hashtag symbol to make it a clickable link. A click on this link will allow audiences to see all your and your followers’ feeds. Step4 – Prepare a Calendar: The last is the implement part. Schedule your posts beforehand. Give hashtags to your posts in advance. As such, you’ll be able to track which hashtag combinations you’re using. Furthermore, it will help you to diversify your content to increase its reach. So, should you use combined or single hashtags for each post? Obviously, YES. It’s okay to use to branded hashtags always. However, sticking to same hashtags again and again may make you lose your audience. Rather, use a wide range of your industry-relevant hashtags to hit new audiences. This strategy will take you to the front of your audience. How Many Different Types of Hashtags Are There? Peek into different Instagram accounts. How many types of hashtags you can see? Some of them will appeal to everyone while others will appeal to specific groups only. There are 7 main types of hashtags. Here you go. Niche Interest: Niche hashtags such as #travellover, #fashiongirls appeal to specific audience. Use them to connect with your prospective customers. Engagement–Oriented: Many people use hashtags for entertainment and engaging purposes. Some of its examples are #didyouknow and #takethischallenge. Branded: These hashtags are used mainly to build brand awareness or to inform your audience about an event you’re hosting. Few examples are #beardbrand and #tieks. Disclaimer: When people need to add some information or disclaimers, they do so by opting for this type. Its examples are #paidpost, #notlegaladvice, and so on. Location: To connect with your local audience or to promote your business locally, this type of hashtag is good. Examples are #Italianfood and #wintergardenfarmersmarket. Seasonal: Want to create peaks in audience’ interest? Then, this type is for you. Timely content is effective to spike the reach of your posts.